Our Solihull Tree Surgeons are your first port of call when you need first-class tree surgery and tree services in Solihull and the West Midlands. 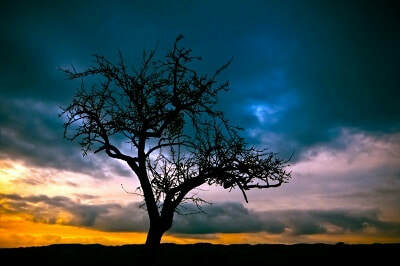 Tree work is our passion and we love to breathe new life into old trees by judicious pruning. Whether your trees need minor trimming or major pollarding, as your local tree specialists we are always able to provide careful tree surgery. 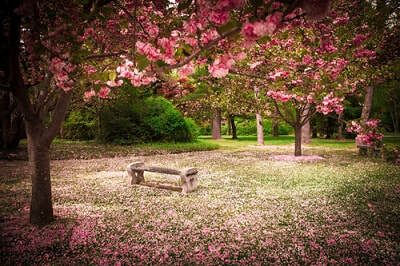 We aim to give your precious trees the best care in order to preserve their health and beauty for the future. 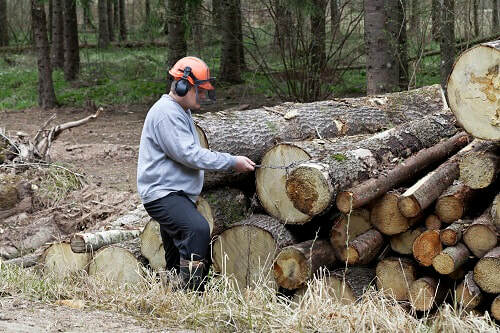 But when necessary, we will be there to help with tree felling, stump grinding and removal of the surplus wood. 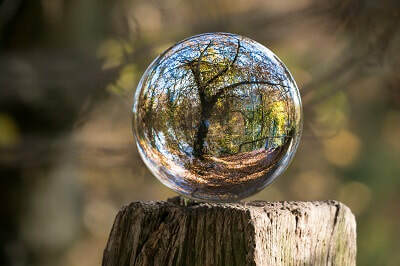 Solihull Arborists are professional tree surgeons in the West Midlands, taking care of all types of trees from fruit and ornamental trees in small gardens to individual mature oaks or managing woodland. Our arboricultural experts are fully trained in safety and take the greatest care when working with your trees. We will discuss with you the best treatment and all costs before commencing any tree cutting or tree maintenance work. You can see our services here. We take the utmost care when working with you and your trees. We ensure that you understand the best course of treatment and the costs involved before we start any tree cutting or maintenance work. As well as residential tree surgery, we are also experienced in commercial tree work, pruning, tree felling and all types of commercial tree surgery for businesses, councils, associations and schools. We care a lot about the environment so do everything we can to promote eco-friendly tree surgery. All the waste we create is 100% recycled. Much of the wood is chipped and the woodchip goes to farms where it is used for cattle bedding along with straw. Once it has been used and composted, the rotted compost is spread on the fields as fertiliser. Hedge cuttings are also composted and wherever possible we produce logs for woodburners and open fires. We usually have logs for sale so contact us for availability. Anything that can’t be logged, chipped or composted is used as biomass. 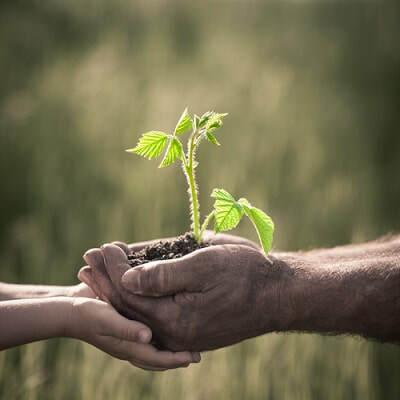 Our commitment is to be environmentally responsible tree surgeons in Solihull and to this end we are exploring the Heart of England Trust initiative to plant a new tree for every one that has to be removed. There are companies offering very cheap tree surgery in this area. 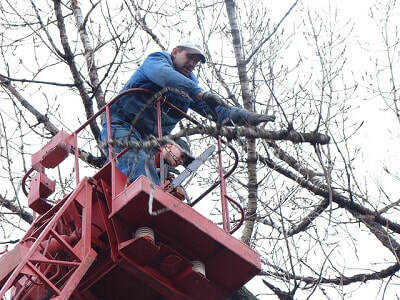 Although our services are competitively priced and reasonable, we take our responsibilities seriously and ask you to carefully check the credentials of any company doing tree work on your property. Before employing a tree care company, check they are properly qualified and trained and that they have full insurance for the jobs they are doing. Our operatives have total regard for safety and the environment and will take great care of your trees and your property, leaving it tidy in a professional manner. Perhaps it's best not to put your precious trees in the hands of an inexperienced door-knocker with a van and a chainsaw! Get in touch when you need a tree surgeon West Midlands. Nobody likes to remove mature trees but sometimes it's necessary for various reasons. 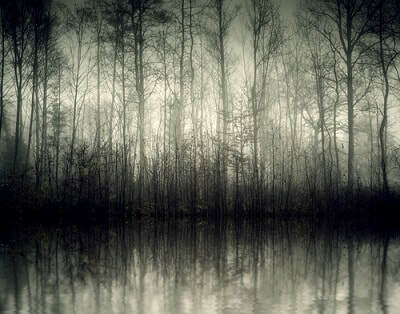 As a living thing, every tree has a natural lifespan or may be badly affected by disease. We can remove dead and dying trees or those that have sadly outgrown their position and are blocking light or a lovely view. Another common reason for removing trees is because they were once planted too close to a building and their roots are now undermining walls. Always check before planting a tree so that you know how far their roots will spread. Some trees have tight root balls and are fine near to walls, whilst others, like willow for example, have spreading roots that may damage drains and buildings as they spread over the years. Leylandii are notorious for outgrowing their welcome as they grow fast, tall and wide. They often block light and cause problems for neighbours, as well as becoming dangerous as branches shear off and their huge mass makes them unstable. We can fell and remove Leyland Cypress trees and you'll be surprised how much bigger your garden looks and the amount of light they have been blocking. We can fell trees of any size, having regard to the space available for the job. This can sometimes involve some tricky maneouvres to ensure that no damage befalls your property. 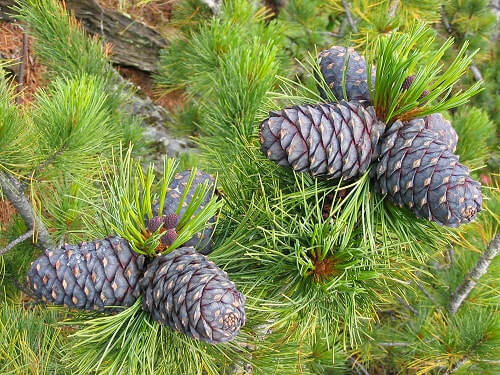 Most trees require some sort of shaping as they mature. 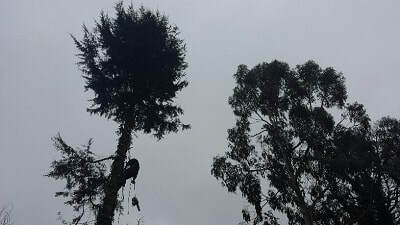 This may take the form of gentle trimming to maintain the shape or sometimes more severe pruning for trees that have become rampant and outgrown their site, or have disease or pest problems, for example. Whatever type of tree pruning you require, our expert tree surgeons can look after them and provide the best tree care services. Crown lifting is employed when more space is required beneath the canopy of the tree. Some of the lower branches will be removed to give more room to pedestrians, buildings or machinery. Crown thinning brings more light and air to the top of the tree and is achieved whilst retaining the original shape of the crown. This is done by selectively removing branches. Crown reduction, as the name implies, is used to reduce the size of the tree crown, making it smaller and neater. This procedure can’t be carried on all types of trees and where it is possible, it must be carefully undertaken in order to preserve the health and beauty of the tree. Where a tree perservation order has been applied to a tree it's illegal to prune or remove the tree without proper permission. TPOs are placed on trees to ensure their protection, so it's important to know if your trees are affected. We can help in this area as our experienced staff will check where necessary with the local authority to ensure you don’t break any laws. 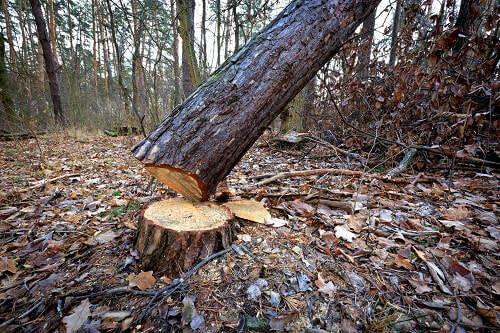 There may be occasions when whole areas need to be cleared of trees and we are proficient in tree clearance, whether you need the entire site to be flattened or where we can save selected specimens and clear the area around them. Often brambles and invasive weeds can strangle a plot so it will benefit hugely from ground clearance, giving remaining trees the chance to thrive and produce the beauty that occurs when you have well-cared-for surroundings. Often the reason for tree clearance and undergrowth clearance is because a building programme is about to get underway. In Solihull there's a lot of new house building, as there is around the country; some building is on reclaimed land but much is virgin terrority that needs clearing before work can begin. 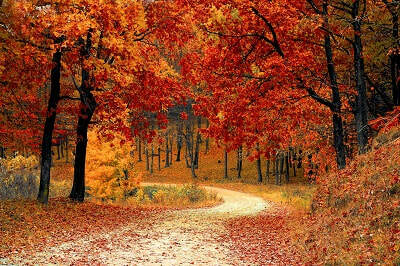 The plot may be covered by trees or other vegetation, all of which can be tackled by our team. Solihull Arborists can tackle all types of site clearance in Solihull, from individual plots to large site clearance for housing estates. Our woodland management specialists can take care of small or large tracts of all types of woodland. And we can look after and coppice trees in line with your requirements. When you need a tree surgeon in Solihull please call us to discuss. It may be a necessary evil, but the majority of hedges need trimming or shaping on a regular basis to retain functionality and appearance. Whether you have a 10’ beech hedge, an unruly Leylandii hedge, mixed country hedging or a neat privet, call us to discuss the best time to cut and maintain it. Many people have no idea that hedges should only be trimmed at certain times of the year. We’ll ensure we don’t disturb nesting birds and you’ll have a hedge to be proud of. Generally it's illegal to cut hedgerows between 1st March and 31st August. Although this doesn't apply to garden hedges, the RSPB recommends sticking to these guidelines to protect garden birds. Hedge removal is also one of our services. When your old hedge is past help or you have a dying leyland cypress hedge, we will cut down and remove the hedge and dispose of the remains. We can plant a new hedge for you or prepare the ground for a new fence. Call us for hedge cutting in Solihull, Knowle, Shirley, Birmingham and surrounding areas. Tree stumps can be great if they can be turned into a useful or decorative garden feature, such as a seat or housing for planters. But if they’re in the way or stuck in an inconvenient spot, you may want your tree stumps removed. If left to rot naturally, it can take many years for the average stump to fall apart, but that may be an option if you want to let nature take its course in an unobtrusive or wooded site. If you want to be rid of old tree stumps, we can remove them completely for you or we can grind them down to ground level. Either solution can work well, depending on how you want to use the area. 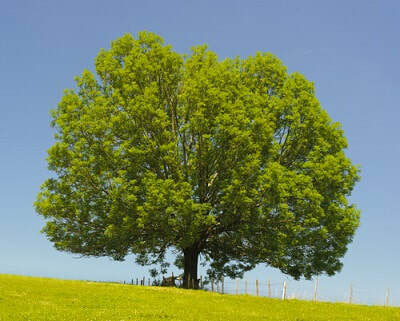 We can undertake tree surveys and site inspections for planning or other purposes. These may be required for individuals or companies and we’re happy to accommodate all such tree work. Call 0121 752 2784 and speak to a tree surgeon Solihull. We love trees but there are times when a tree needs to be felled for a number of reasons. Roots of some species are particularly invasive and may eventually cause damage to foundations or drains. On other occasions trees may simply be in the wrong place when you come to extend your house or put in a garage. Or perhaps your trees have died or are seriously diseased and need to be removed. Tree felling is undertaken by our fully-trained and safety-conscious tree surgery experts, who assess the job and minimise risk. 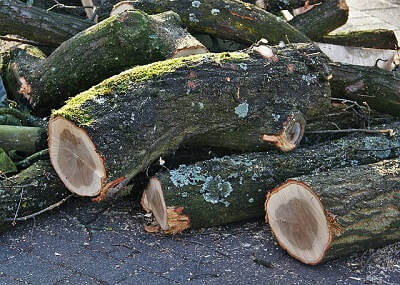 They will swiftly and efficiently fell trees and remove them, or log them if you require. Whether you have one treasured mature tree, a few fruit trees or an area of woodland, we can offer regular tree maintenance and care. Speak to us about our service contracts or choose to have occasional visits. Either way your trees will really benefit from annual tree inspections and advice from an expert tree surgeon. Whether you’re starting with a completely empty plot or have a cleared garden ready for landscaping, we can help by adding the foundations. 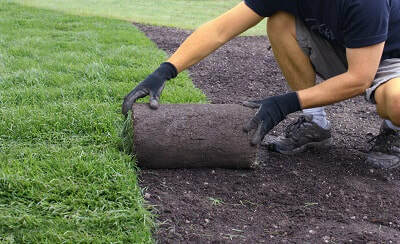 Turfing and grass seeding can be undertaken and we will plant trees and shrubs to start to bring your garden to life. We also plant trees for coppicing or to create new woodland areas. Such projects breathe life into our planet and are very rewarding for our tree specialists. Tree pollarding is a method of pruning that involves removing the top branches, which encourages a dense head to the tree. The Romans were pollarding trees over 2,000 years ago and in Europe we’ve been pollarding since the middle-ages, which was traditionally done to provide fodder for livestock, surprisingly, and also for wood. It’s a way of keeping certain species of tree at a standard height and is used in town centres, for example, where rows of trees are required to be uniform. Of course, we can take care of pollarding trees in Solihull and Shirley. Our Solihull commercial tree surgeons undertake all types of tree work for companies and business sectors, including schools, churches, councils, railways, highways, hospitals and landlords. 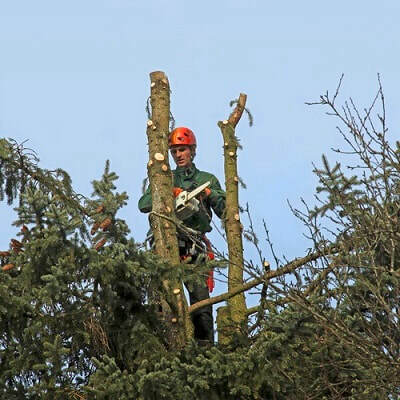 We are able to formulate tree maintenance contracts to suit your business or do occasional tree work whether you need trimming or an entire refurbishment. You'll find our rates competitive and we go the extra mile to ensure you're happy with our work. Commercial tree surgery is a growing area for us and we're happy to discuss your requirements. Whilst a small amount of ivy growing up a tree trunk may look pleasing, it can eventually get a stranglehold and become so dense that it compromises the tree's ability to gain light and thrive. Oak trees are often heavily covered with huge ivy trunks and you may wish to have these removed. Although ivy isn't a parasite and gains its nourishment through its own roots, the weight and sheer volume of ivy leaves may not be beneficial for your trees. We're happy to give you advice about ivy removal. Sadly many diseases and insects attack our trees and the results of Dutch Elm Disease and Acute Oak Decline have been devastating. Whilst some diseases are not easily stopped, regular tree inspections can help maintain the strength of your trees and may help to save some of our beautiful matures specimens. Diseases like honey fungus will kill trees and spread to others, so steps need to be taken to remove affected trees and shrubs before your garden is devastated. Be aware of your trees, water well when young and keep an eye on even the largest and oldest trees in your neighbourhood because they’re a precious resource and have a very positive effect on our health. We offer regular tree maintenance agreements for businesses and homeowners. As part of our overall garden services, Solihull Arborists are able to offer lawn cutting and leaf clearance. So don't let those leaves pile up and adversely affect your grass; get them quickly removed and allow your lawn to breathe again. We are your local Midland tree surgeons, happy to help and offer free advice about all types of tree work and tree maintenance. If you need a tree surgeon near me, please call us on 0121 752 2784 or fill in the form and we'll contact you without delay.